Issued at 4:08 pm CDT on Thursday 6 December 2018. 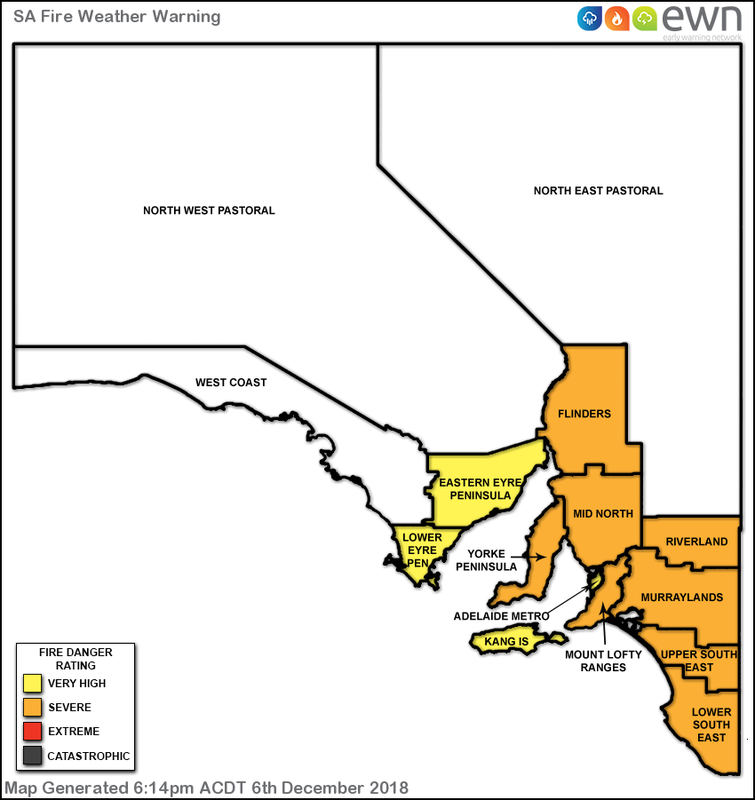 Hot to very hot and dry with northwesterly winds reaching 30-45 km/h ahead of a southwest to southerly change around 25-35 km/h. The change will move across southern and eastern parts during the afternoon and evening. Possible thunderstorms across southern coasts behind the change. Monitor the fire and weather situation through your local radio station, www.cfs.sa.gov.au, and www.bom.gov.au.